As holistic alternative and regenerative medicine providers in Puerto Vallarta, we do more than treat disease. We use stem cell therapy and natural treatments to jump start your body's dormant healing abilities. We specialize in stem cell therapy and holistic medical alternatives for eliminating cancer. With these clinically certified, non-surgical, non-toxic, aggressive, and natural treatments, we address the root cause of diseased or aging cells and empower you to heal on your own terms—while you vacation in beautiful Puerto Vallarta! No judging. No surgeries. No toxic side effects. 100% holistic healing. Stem cells have the unique ability to become any cell in the body—rapidly regenerating your tired organs, damaged skin tissue, knee tendons, and even your neurological system. We accomplish this modern scientific marvel by using internationally certified stem cells in umbilical tissues from placentas that never harm babies. Breath-taking transformations are seen in former cancer patients with these non-invasive, whole-health, alternative techniques involving aggressive but non-toxic cellular detoxing, personalized superdiets to starve the cancer, and immunotherapy — all without the sickening side-effects of chemotherapy or radiation. Lyme disease is caused by a tick-transmitted bacteria and has cost the lives of many due to misdiagnosis or lack of alternatives within traditional healthcare systems. Thankfully, by using a variety of advanced medical alternatives, we can accurately diagnose and eliminate the borrelia burgdorferi pathogen. WHY CHOOSE HOLISTIC MEDICAL ALTERNATIVES IN MEXICO? 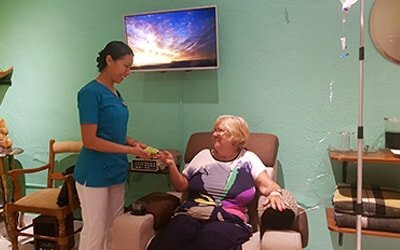 We are patients' choice for regenerative & alternative medicine in Mexico because we offer dozens of time-proven-and-tested stem cell therapies, holistic alternative cancer treatments, and many more to eliminate Lyme disease, chronic illnesses, and pathophysiological imbalances from your entire system. While no one can guarantee the fountain of youth nor a cure-all for cancer, our combined 150 years of experience in healing, world-class clinical technology, and pampering medical team will back you every step of your journey to lasting health. We offer Young Living® aromatherapy, organic fruit, tisana teas, warm blankets, chlorophyll, superfood smoothies, and alkaline water – whatever you need to be at peace. Stem cells, ozone, oxygen, hydrogen peroxide, glutathione, vitamin compounds, and nutritional programs starve and eliminate what makes you sick while synergistically boosting your body's natural defenses. Emerge a whole new healthy you. It doesn't hurt (literally!) to take off a few years or pounds with our Board Certified Plastic Surgeon and pluripotent stem cells! Diagnostic bio-frequency technology and world-class medical equipment are used to correct psychophysiological imbalances. Customized superdiets, periodic fasting, enzymes, and elite-level supplements by Calvita® to achieve and maintain a long life of vibrant health. Contemporary science meets ancient Aztec techniques for an incredible experience to align your physionatomy and stimulate 100% natural cellular regeneration. No matter how difficult your journey has been up to this point, genuine love and pampering attention will always be our specialties. Our alternative medical center in Puerto Vallarta is one of only a few dozens in the whole country that works with Cryo Vida, an internationally recognized and certified stem cell bank. But is it true that stem cells kill unborn babies? No! Medicine has come a long way since the 1990s. So Holistic Bio Spa provides pluripotent stem cells that are extracted from the umbilical tissues within the placenta. These stem cells are 100% ethical and never harm the babies of pregnant mothers. We would never have adopted this method of health care if it harmed human lives, born yet or not. What can you expect from your alternative healing program for cancer? Learn what to expect with our Bioidentical Hormone Replacement Therapy in Mexico. HOW DOES REGENERATIVE & ALTERNATIVE MEDICINE WORK? To understand how our holistic alternative medicine and regenerative treatments work, first, we need to understand how the body works. Everything in your body is connected for a reason. So it makes sense that by combining the science of modern medicine with proven ancient healing wisdom, we treat the whole-person, not just focusing on a single organ, sickness, or area. The medical services and natural treatments above function best when combined into a personalized program that fits your unique needs. One cannot expect a single method to instantly heal a chronic problem nor specifically "cure" such an illness as cancer; rather, a personalized combination of key medical alternatives will contribute to your being healthy in the purest sense. We have grouped our main alternative health services and holistic stem cell treatments into categories but remember that a single treatment may be used to successfully treat several ailments. Become familiar with our personalized healing experience for all ages in paradisaic Puerto Vallarta. ‘‘I am so happy to have found this peaceful, professional, and modern site for getting IV drip of Vitamin C. In the same week as the American medical community has recognized that Vitamin C reduces tumor growth, I found this place through my research since I have breast cancer in remission. The professional atmosphere and variety of services at affordable prices are a wonderful surprise for me here in my new home in Puerto Vallarta. ‘‘I arrived from Calgary with a plan to invest my time and body with Holistic Bio Spa in Puerto Vallarta. This is a #1 rejuvenating clinic where I chose to detox my body in a relaxing atmosphere, heartwarming, comfortable and excellent staff. ‘‘I am so very happy! I love Alicia & Addy! An Amazing place of healing & love! I would highly recommend to everyone!! ‘‘This place is great! Holistic medicine at its finest. Dr. Zoli and Erik are taking great care of me! This place is peaceful and calming. Everyone is very friendly and helpful. ‘‘We are so happy to have the opportunity to experience the Holistic Bio Spa. The personal care you get there is wonderful. Knowledgeable caring staff. Anna greets you and Dina and Eric get you ready for your treatments. What a wonderful staff not to mention Zoli and his wife. Looking forward to more great treatments to help us repair. ‘‘This place fixed my life! They have everything you need to get your body clean and right- ultimate detox. They have a huge selection of vitamins and herbs- you can find braggs apple cider here too! I had the best massage by Hilaria and I adore Alicia- truly a beautiful person inside and out. ‘‘It just hurts me to see how people have gone through so many painful treatments – but still haven’t experienced the results they need. I’ve built a system that helps you remove whatever prevents you from being healthy. Do you need joint, spinal, organ, or dermal repair? Do you need it fast? Then you have found the right place! 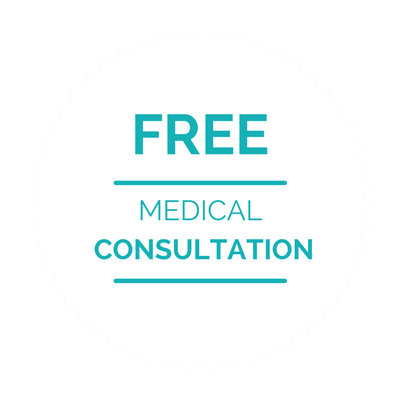 Book a complimentary telephone consultation with our certified stem cell experts! Zero commitments, zero judgments, and zero down payments—just an empowering free evaluation with physicians Zoli Hargitai ND or Dr. Juan Ortega MD, so you can make an educated decision for your health before you travel. After your consultation, you will be given a complementary holistic stem cell treatment plan to review with your loved ones and primary physician. We will also help map out your healing vacation in beautiful Puerto Vallarta as an added perk for stepping up and taking control of your health. 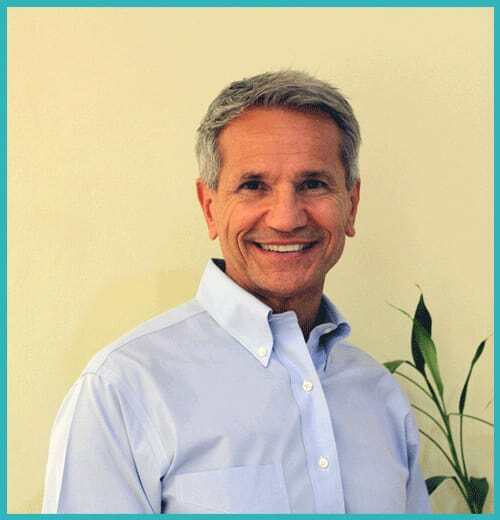 What is a Naturopath physician? How does it differ from traditional western medicine? Are these holistic medical alternatives safe? 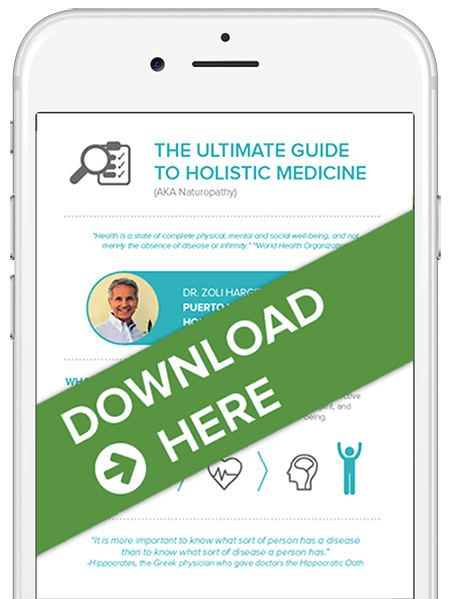 Get your free eBook today: The Ultimate Guide to Holistic Medicine! Were you told that your body simply doesn't heal the way it used to when you were young? It doesn't have to be that way! Thanks to stem cells and our many natural treatments, you can end the cycle of feeling sick and tired. At Holistic Bio Spa, you have all the alternative treatments, tools, and clear guidance to thrive free from chronic sickness, cancers, and immunodeficiencies—the type of life we all deserve. Reach out to us below. We'll answer all your questions and help organize your healing visit. See what our patients and former skeptics have to say about Holistic Bio Spa. Just one block from the Puerto Vallarta Airport - inside the Plaza Marina Mall, across from the Amerimed Hospital.